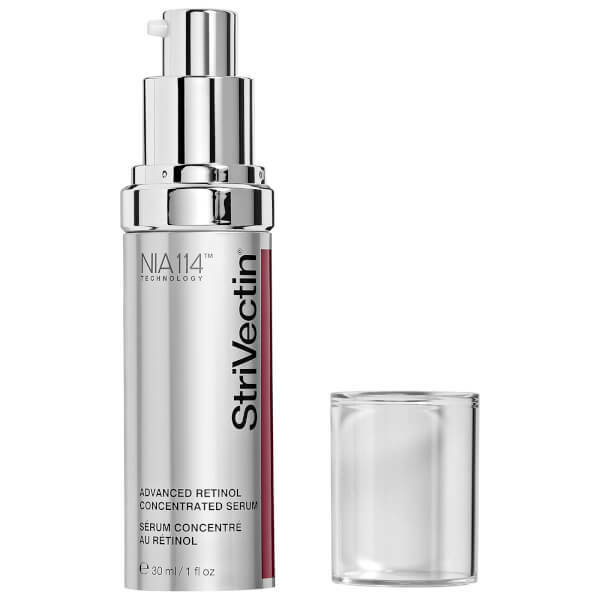 Boost radiance with AR Advanced Retinol Concentrated Serum from StriVectin. 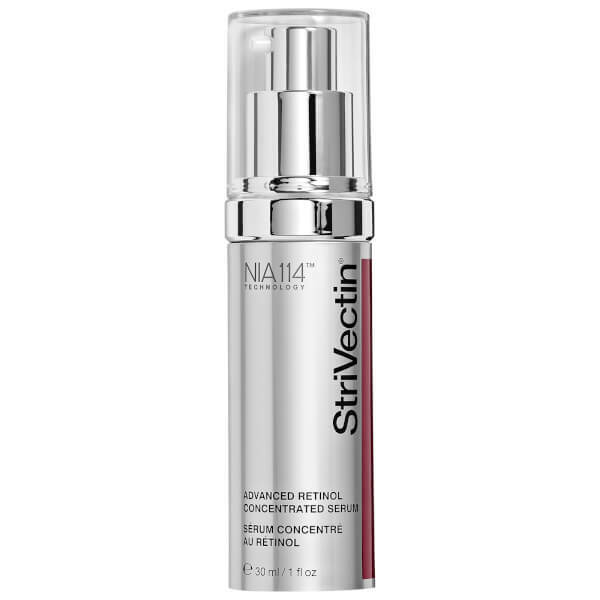 Formulated with NIA-114 technology to rebuild the natural skin barrier and reduce the appearance of fine lines and wrinkles. 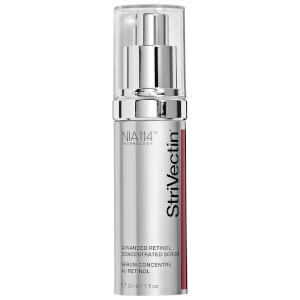 The lightweight, yet powerful serum contains a high concentrated level of Retinol to strengthen skin and fight against signs of ageing. Imperfections are made less visible to leave skin with a smoother, refined texture and a more even tone. E.N. Directions for use: Apply morning and night to a cleansed face before moisturising. Massage in circular movements until the serum is completely absorbed into skin. Aqua (Water, Eau), Cyclopentasiloxane, Myristyl Nicotinate, Glycerin, Dimethicone, Isopentyldiol,Polysorbate 20, Disodium Edta, Olive Oil Peg-7 Esters, Polymethylsilsesquioxane, Pyrus Malus (Apple) Fruit Extract, Zingiber Officinale (Ginger) Root Extract, Palmitoyl Hexapeptide-12, Medicago Sativa (Alfalfa) Extract, Sodium Hyaluronate, Yeast Polysaccharides, Ceramide 2, Rosa Multiflora Fruit Extract, Biosaccharide Gum-1, Bisabolol, Ethylhexylglycerin, Pentaerythrityl Tetraisostearate, Peg-10 Rapeseed Sterol, Sorbitan Oleate, Tribehenin, Xanthan Gum, Acrylamide/Sodium Acryloyldimethyltaurate Copolymer, C12-15 Alkyl Benzoate, Polysorbate 80, Dipotassium Glycyrrhizate, Lactic Acid, Vp/Va Copolymer, Sorbic Acid, Phenoxyethanol, Mica, Ci 77891 (Titanium Dioxide).